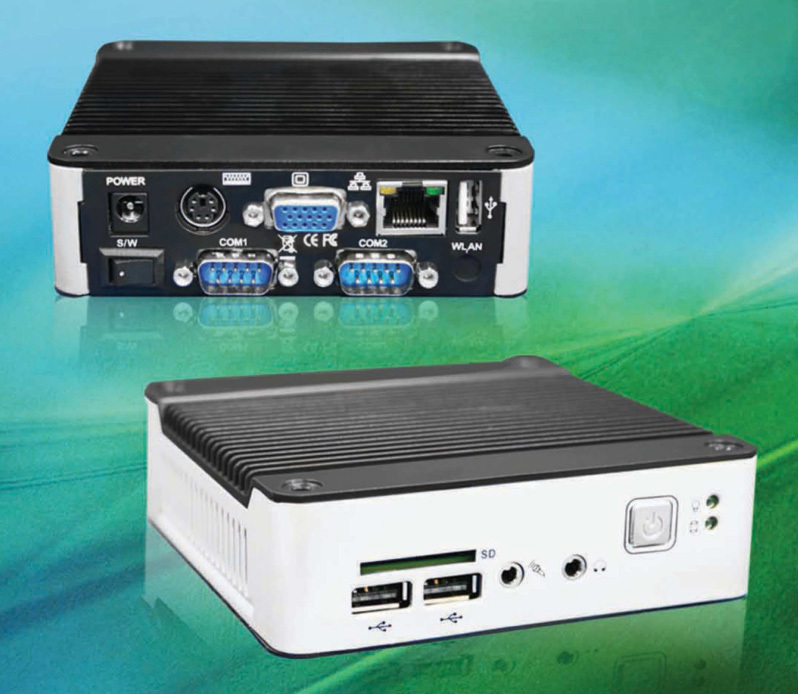 This eBox 3310MX model includes SATA support and 3x RS232 ports. This version comes in the Soft Power On variant (includes a Soft Power button in the front). The eBox 3310MX is a complete PC with an i586 architecture. At its core you will find the Vortex86MX+ SoC featuring 32bit Memory bus, 1GB DDR2 RAM and support for 2.5" SATA HDD*. The 3310MX includes 3x USB 2.0 ports, HD Audio (Audio In/Out), 1x Ethernet port, 1x VGA port and 3x RS232 ports. HDD is provided through an SD card slot or alternatively using a 2.5" SATA HDD* (the most performing option). The eBox supports i586 operating systems including Linux, Windows XP, Windows CE and Windows Embedded Compact 7. The eBox line of products is suitable for Vertical Applications (Kiosk, POS, Thin Client) as well as SoHo applications such as Internet device, compact PC, Home Server, etc. With its flexible IO (4x USB ports) and support for 2.5" HDD the eBox 3310MX is a versatile device offering an excellent price/performance relation. The improvements made to the Vortex86MX+ - in particular the 32 bit memory bus -, 1GB DDR2 RAM and the support for SATA HDD make the 3310MX an appealing proposal for applications where more processing power is required. If using the SD card as the HDD, use Class 6 or Class 10 Full Size SD cards. EWF can also be enabled on Windows XP for improved performance. To unleash maximum performance we recommend installing 2.5" SATA HDD* which offers a very significant performance boost. Other Operating Systems: see the Compactpc website. The pins for COM2 and COM3 are available on the DB9 connector labelled "COM2". A Y cable is used to make it a shared connector: pins 2 & 3 are RX and TX for COM2 and pins 7 & 8 are TX and RX for COM3. If your application requires more than 1 full DB9 COMM port, please use the 3310MX-S4C or 3310MX-D4C which offer 4x RS232 full DB9 ports. These models provide 4 full featured RS232 DB9 COM ports with full handshaking signals on all ports. For more information please refer to Note 3 on page 25 and the schematics of connector J15 ("COM2") on page 31 on the eBox 33xxMX User Manual. * eBox 3310MX models ship with built-in support for 2.5" SATA HDD but no SATA HDD is included; you can use any 2.5" SATA HDD or DMP's SATA Disk-on-Modules for Solid State Storage. If you do not wish to use a SATA HDD, eBoxes can also boot from SD card. Simply introduce an SD card, turn on the eBox and it will be recognized as normal/default Hard Drive.